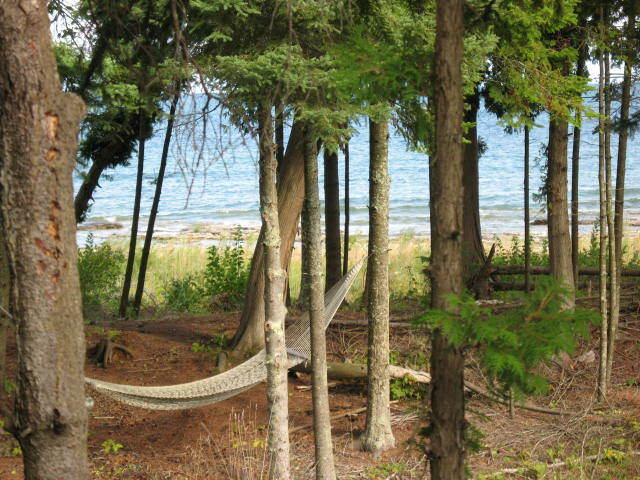 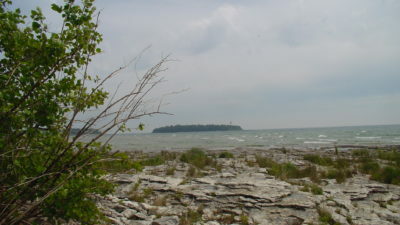 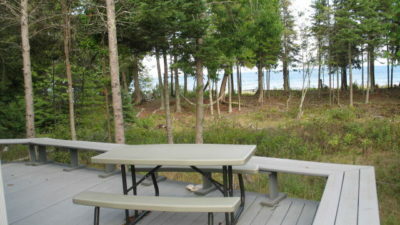 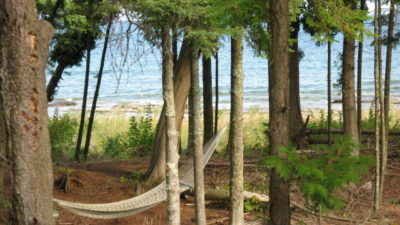 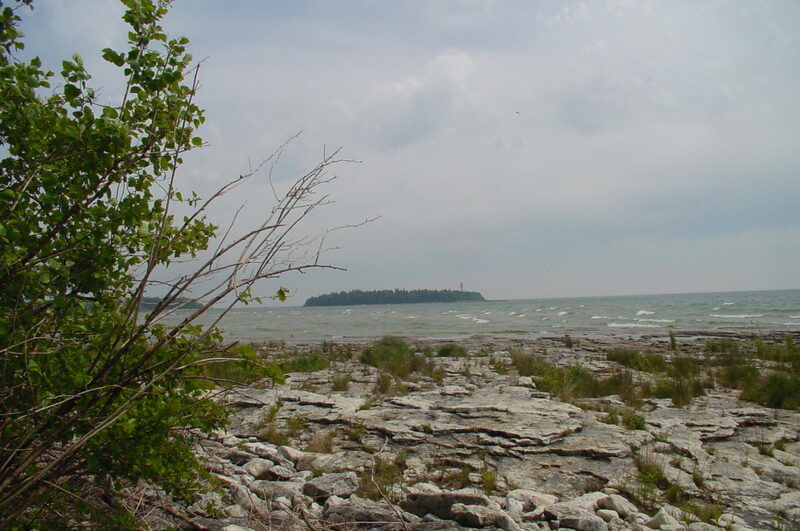 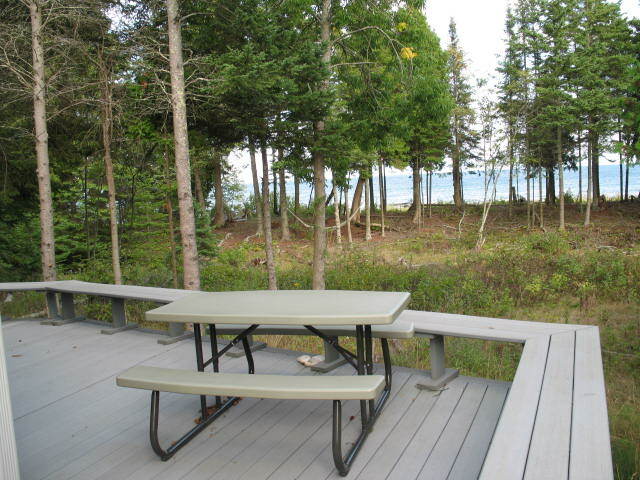 A beautiful Door County Rental with 3 bedrooms set on Bues Point near Cana Island just north of Baileys Harbor and south of Sister Bay. 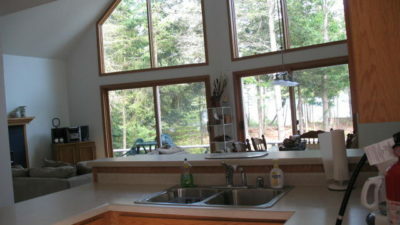 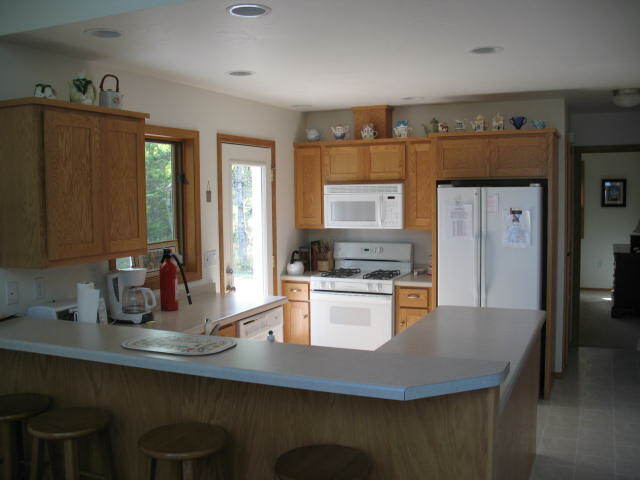 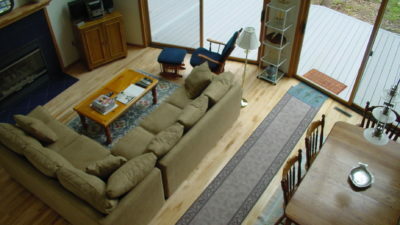 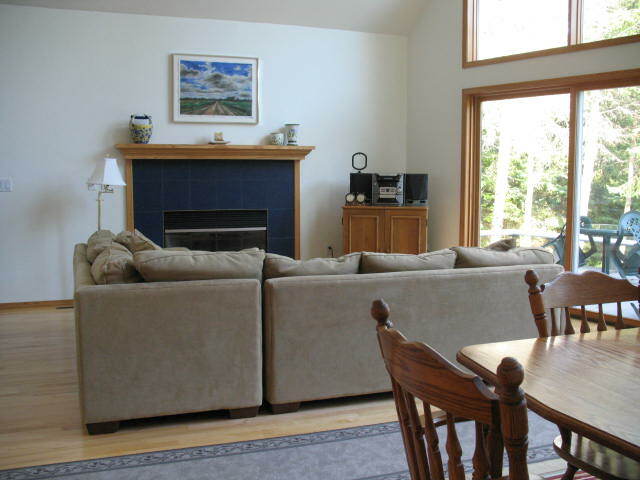 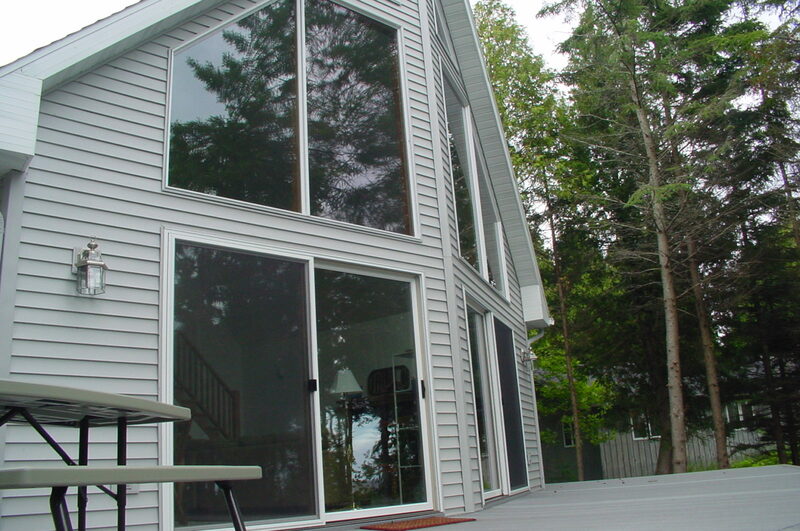 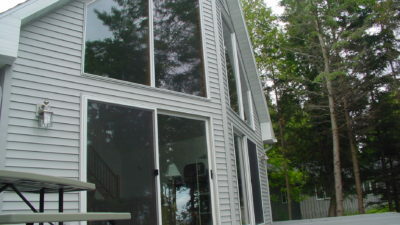 Lovely designed home set in a natural setting with large wrap around deck to enjoy it all. 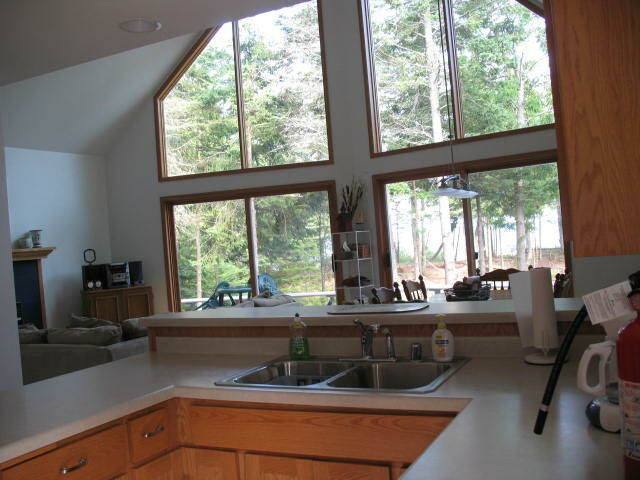 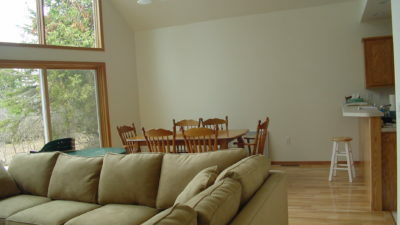 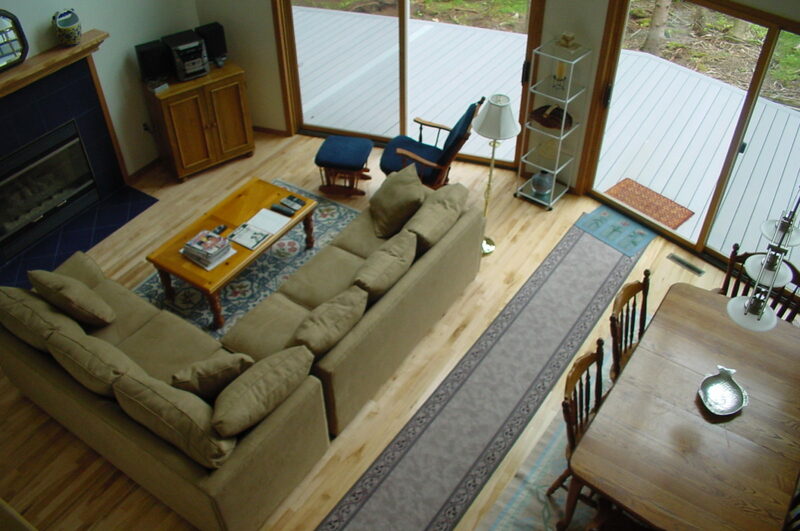 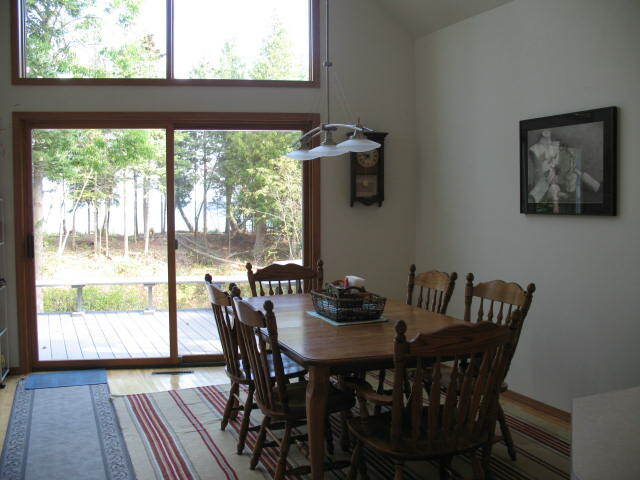 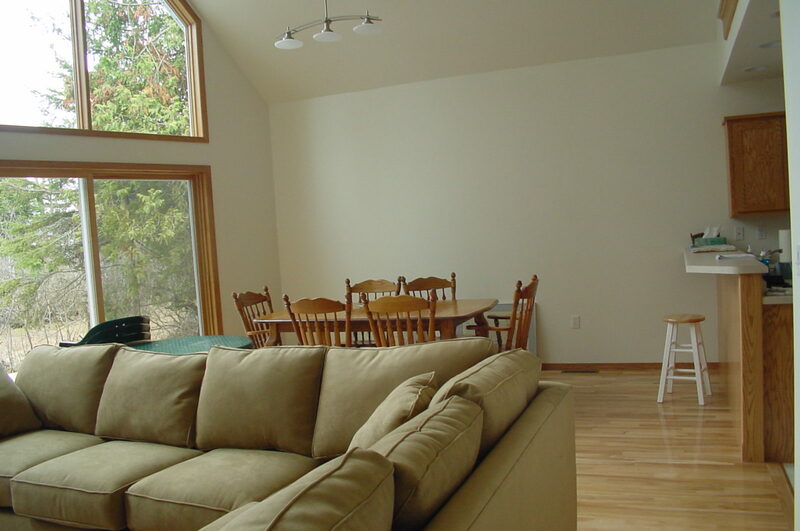 Vaulted ceilings in living room with all glass windows facing shoreline. 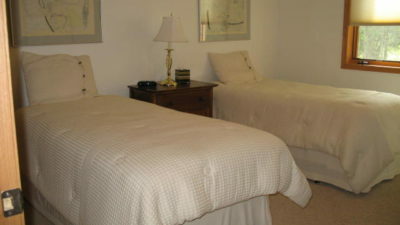 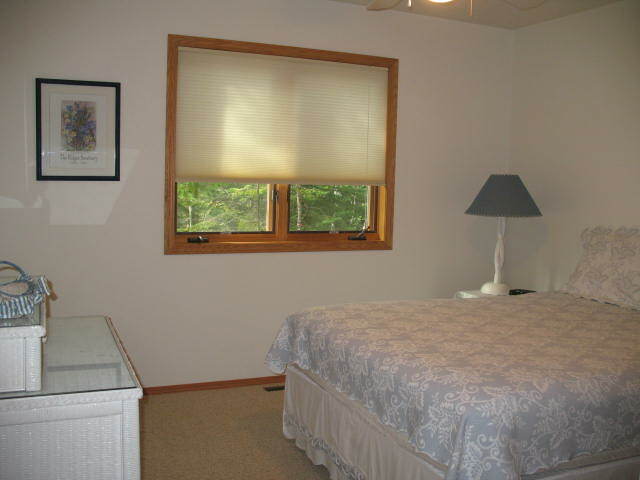 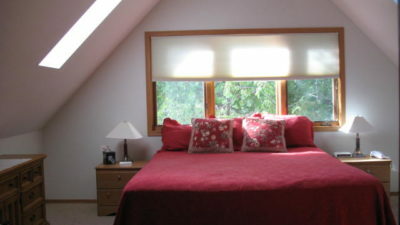 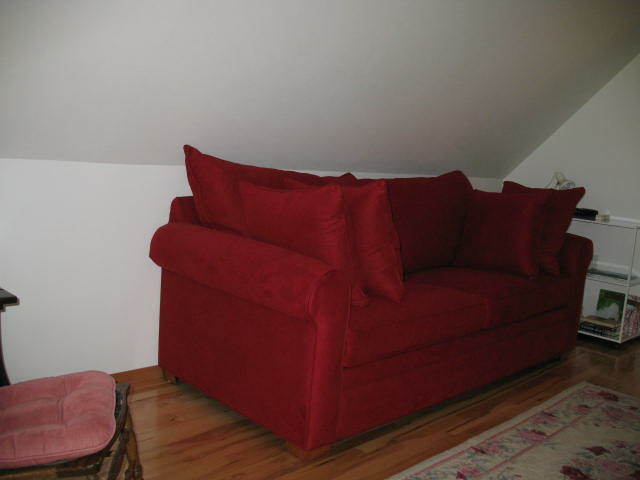 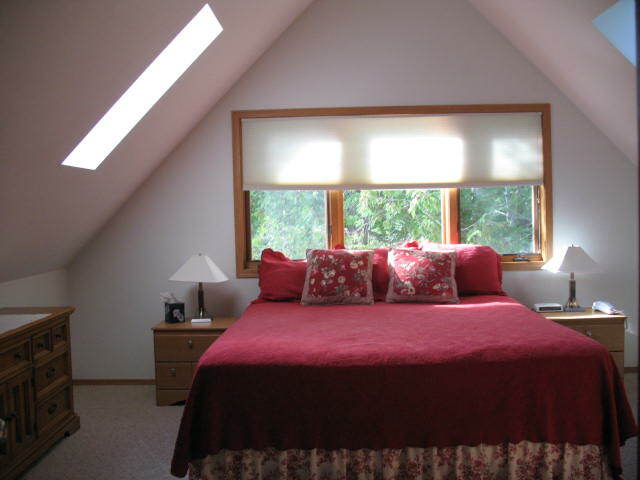 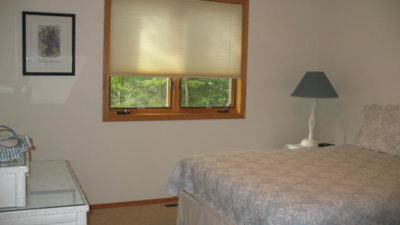 Master suite upstairs with additional loft, 2 bedrooms downstairs. 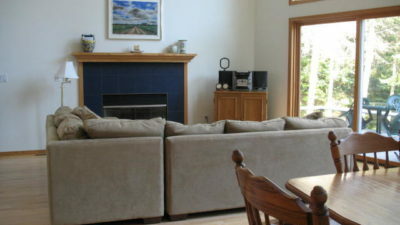 Gas fireplace for extra warmth. 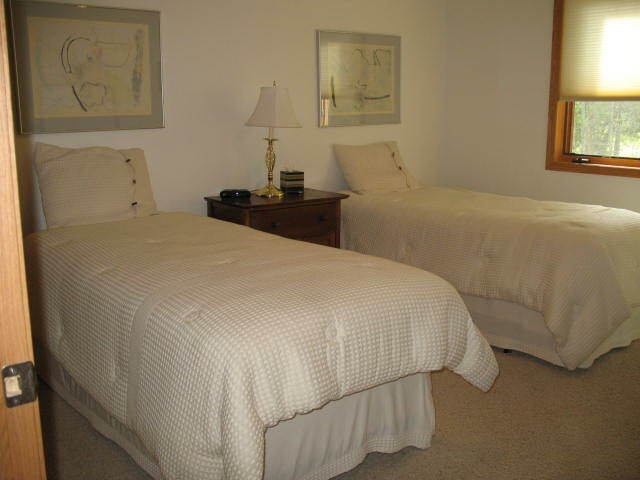 It is “Ohhh, So Charming!” A lovely vacation spot……. 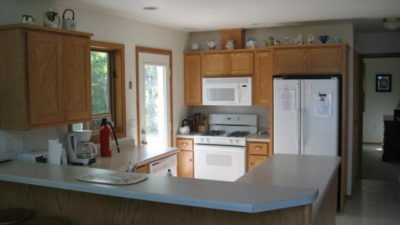  Additional: Ceiling fans in each room, INTERNET, VCR, DVD, CD player/radio, loft reading area, large deck and electric grill, garbage pick up, stone shoreline with view of Cana Island. 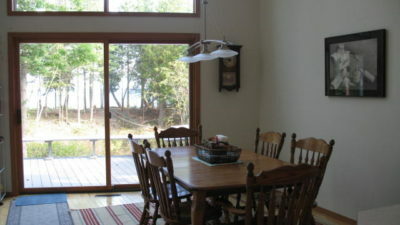 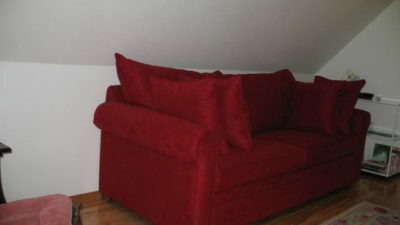 Lots of room with a beautiful view!